We enjoyed our stay at The Stables - we are a family of 4 adults plus 2 cairn terriers. The barn is in an idyllic location and as we visited at the beginning of April we were greeted every morning by lambs and their Mums - a real bonus! The barn itself is spacious with plenty of room as there are two generous living rooms with tv’s etc. The sofa’s are extremely comfortable and roomy too. WiFi signal not great - needs boosting somehow. Bathrooms upstairs could do with some work. Overall though, great property, great location and the staff at Luxury Dorset Cottages were incredibly helpful. Thank you very much for your review of The Stables. We are delighted to hear that you enjoyed the location and had a lovely morning greeting from the lambs. We do hope to welcome you back again. An exceptional setting in a beautiful part of UK. Property is probably not ‘luxury’, but clean, spacious and comfortable. Only problem was dishwasher didn’t always respond to programme and family shower on first floor needs a new shower head. Thank you for taking the time to leave us a review, I will pass your comments to the manager for review. We hope to welcome you to The Stables again. An enjoyable stay, which would have been much better with some maintenance that had been previously reported in the visitor book, and again by me in the maintenance book in the main lounge. Thank you for taking the time to leave a review for The Stables, I will pass your comments to my manager for review. We hope to welcome you to one of our properties again. We had a great time at the Stables in Abbotsbury. Property is very spacious with lots of room for our party of 7 to enjoy our family get together. Kitchen is well equipped (lots of cutlery and plates, plus good size mugs!) with a large fridge freezer, great sized dining table and underfloor heating. Snug room was great for the children to watch cartoons, just off the kitchen and the main lounge gave us all room to relax together. Bedrooms were also a great size and had crisp cotton sheets and White Company towels. Location is a drive outside of Abbotsbury but there are some lovely local walks with views out towards the coast. Views from the property over the fields are lovely. Very much recommended and we would love to return one day. Lovely holiday cottage - spacious, and with everything you need. We had a great weekend here. The big rooms mean you don't feel cramped, even when the weather is grim! Very comfortable. Thank you very much, I will make sure to do my sun dance for you before your next visit. Apart from the fact that there were no dessert spoons until a phone call gave us permission to raid the neighbouring apartment (!) the accommodation was even better than we might have hoped. (There was some difficulty in making the coffee machine work, but it hardly spoiled the holiday.) The incredible weather meant that we were able to explore surrounding locations with plenty of walking. Local restaurants were exceptionally good - the Old Schoolhouse run by Helen and Shaun even helped out by lending us the spoons we needed to tide us over! Thank you for taking the time to leave us a review. I am very sorry about the lack of spoons and I can assure you that this is being looked into by the manager. We are very happy to hear that you were able to make the most of the lovely weather and local restaurants and we do hope to be able to welcome you again. The cottage was very comfortable and has everything you need. We enjoyed breakfast in the large and sunny kitchen. And we enjoyed watching a movie in the evening in the largest and very relaxing sittingroom. The bedrooms are also very pretty. Thank you very much for your review, we are delighted to hear that you enjoyed your stay at The Stables. We hope that you can visit again soon. Thank you very much for taking the time to leave us a review David. We hope that you can stay with us again when you are next in the UK. 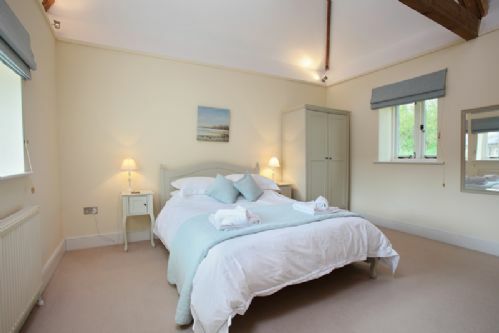 We have recently returned from a fantastic stay at the Stables in Abbotsbury. The accommodation was fitted out to a high standard and was extremely comfortable. We enjoyed a number of BBQ's in the garden and loved the peace, tranquility and views. We have come back suitably refreshed which is just what we wanted. 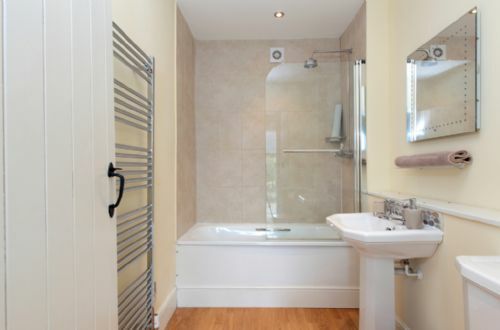 Only slight criticisms are the lack of a decent pair of scissors in the kitchen and ideally the downstairs shower would be better as an enclosure rather than over bath as my elderly parents struggled with access. We did find the cost to be on the high side when compared to other silmilar sized and quality accommodation in Devon and Cornwall but would definitely recommend to friends. Thank you very much for taking the time to leave us a review, we are pleased to hear that you have enjoyed your stay at The Stables. I have passed your additional comments onto my manager and we hope that we can welcome you again in the future. Second trip to the Stables as we were so impressed first time around. Stunning location, great views. Cottage is ideally set up for big family getaway - big dining table and sociable kitchen area, child friendly (well decorated in that it's homely but not too many breakables! ), separate little movie snug for the kids. Very clean, easy to book. Would definately book again. Thank you so much for taking the time to leave us such a kind review. We are very glad that you found the location as beautiful as we do and we hope to welcome you back for your third stay soon. Just spent a week at the Stables with two small children and had a wonderful time. The only flaw in the property is that the kitchen is so well equipped you can’t find a place to put any food at all! On one of the days the boiler wasn’t working when we returned for the day - a quick call to the pit of hours line and working half an hour someone had come and fixed the problem - truly fantastic service - we loved the week. The house was clean and calm with the beautiful views and walks to Abbotsbury - we will be back for certain! Thank you so much for your review and kind words Hayley, I have passed these over to our team. We look forward to welcoming you to The Stables or one of our other properties again soon. We've been coming to Wears farm for several years and it's never failed to please. As a family we are spread across the country and this location has worked well for us all to get together pre Christmas. This especially so as it was a significant birthday for me and the formal start of retirement. The Stables is a perfect location for many attraction along the Jurassic Coast and only a short walk from The Stables up on to the Ridgeway where the views over Chesil Beach, Abbotsbury and Lyme Bay are amongest the best in the world. Continue walking and Abbotsbury is within an hour and further along the Ridgeway is Hardys Monument. Would we return, the answer is yes and we are already booked for April. Thank you so much for your kind words we always love having you stay, i am very glad to hear that the location is enjoyed by all of the family and everyone here in the office wishes you all the best for your retirement. A beautiful location and lovely accommodation. The cooking corner rather cramped, difficult to cook for a lot of people as very little prep. area. Largest Tv I've ever seen! Decoration a bit 'beige', hot water in a bit of short supply in the morning. Thank you kindly for taking the time to leave us a review. I will pass your lovely comments onto the housekeeping team. We hope to be able to welcome you again soon. This was our 2nd stay at The Stables with both daughters and their families. Everything you need is provided and the accommodation is very comfortable. The seperate TV room is brilliant for the grandchildren. The children loved seeing the cows and sheep and the pheasants that surrounded the property. Great location for trips to Chesil beach, Weymouth, West Bay and for walking the dog. I am sure we will return. Thank you for taking the time to leave a review, we greatly appreciate it. We are so glad that you got to go and explore what the lovely Abbotsbury has to offer, and that the children were able to enjoy meeting the animals surrounding the property. We look forward to welcoming you back again soon. This was my 2nd stay at The Stables. The location and the property is everything you need to unwind and relax. There will be more visits! Thank you for taking the time to leave us a review. We are very glad you had a relaxing stay at The Stables, and look forward to welcoming you again soon. 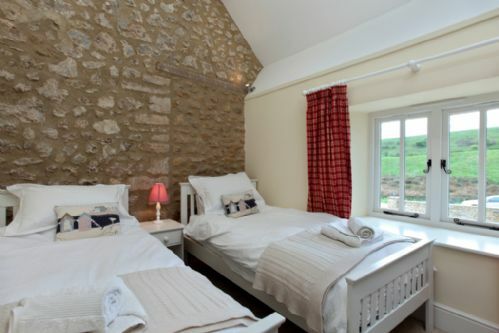 The Stables is a lovely and comfortable property. We had 4 generations staying and there was room to spread out. The location is stunning with great walks and amazing views of Chesil beach and surrounding countryside. It is a bit off the beaten track so needed to use the car a lot. Thank you kindly for taking the time to leave us a review. A holiday with four generations sounds lovely, so glad that you enjoyed the beautiful scenery this area has to offer. We hope to be able to welcome you again soon. This was the perfect property for our stay, along with other relatives in the other accommodations. We will be staying here again! Without a doubt one of my favourite holiday properties we have stayed in within the UK and the best by far in Dorset. Thank you for your 5 star review. We are delighted that you and your family enjoyed your stay at The Stables, The Grain Store and The Cow Byre. Wears Farm does make an ideal venue for large gatherings and as you have discovered, accommodates up to 20 people easily with plenty of room to spread out and private parking. We are pleased that you enjoyed your stay and hope you will return in the future. Winter gatherings are cosy too and the barns are decorated for Christmas. Also, we are currently renovating a 6th barn which was used in the 2015 movie Far From the Madding Crowd. It is a charming thatched barn built in 1798 located on the east side of Abbotsbury that will have 3 ensuite bedrooms and an inverted layout to take advantage of the glorious surrounding countryside. 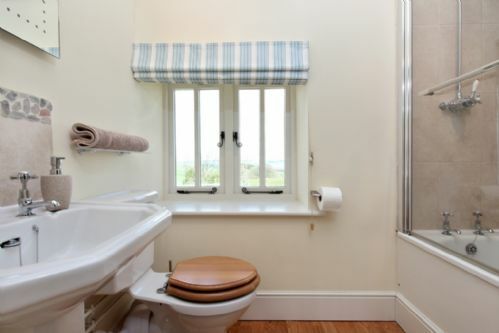 This delightful accommodation is situated perfectly above Abbotsbury and has been created to just swallow up six adults and two boisterous young boys. The additional lounge is a great addition either for the boys or the grandparents to hide in. A very well equipped kitchen with decent appliances and supplied with all the basic needs to get you going. The countryside surrounds and the walks provide breathtaking vistas. The weather was poor during our visit but we all had a really good time. This place is one which deserves its top rating. Thank you for taking the time to write such an honest and thoughtful review. We really appreciate it and new guests like to see what other guests say about their experiences. It sounds like The Stables really suited your family which is great because when the barn was converted, careful consideration was given to how it would be used by larger groups and multiple generations of families. It is great to hear that despite the weather being uncooperative, it didn't dampen your spirits. We are delighted that your family enjoyed the property and location and hope you return in the future. We much enjoyed our holiday at the stables with the family including a young baby and great granny. Lots of things to do in the day in and around the area with great walks and beaches nearby. The house itself was very well laid out with lots of space for everyone. Only negative was that I felt for a luxury property it was a little ill equipped - eg: no salad dish/servers and felt there could have been some soap/shower gel in the bathrooms for arrival - though there was nice welcome basket of coffee tea etc in the kitchen. - minor details..... overall a great place for a family holiday. I am glad you had an enjoyable holiday. Thank you for your observations which we will give consideration to and balance these against the overall needs of our guests. We all enjoyed staying at The Stables; plenty of room for all of us and a fantastic location with wonderful views! We had a great stay although a couple of niggles - this kitchen is only just kitted out for 8 and misses some of the extra touches you get when renting privately; the welcome pack was minimal and the cleaning was only adequate and not great (dead flies around the carpet in the lounge and some of the kitchen items were dirty). However, we had a good time and would consider a further stay. We are very pleased that you enjoyed your holiday. Thank you for your comments which we will look into. Our welcome pack is to "get you started" and is complimentary. We hope you will stay with us again soon. We had a lovely week in the Stables. The location of the house is stunning and the coastline nearby is beautiful. We were a large group (3 families) with 2 very young children) we found plenty to do nearby to entertain the children and the house was.ideal for small children. We enjoyed the space in the house and the garden with the twice daily visits from the calves. The house was extremely comfortable with loads of hot water, comfortable beds and a good box of dvds. We had a few niggles: the fridge was not cold enough so some of our produce went off and both the dishwasher and the washer drier were rather temperamental but overall we were very satisfied and would thoroughly recommend the accommodation. We look forward to returning before too long. Thank you for taking the time to write a review of your stay. We are delighted that you and your family enjoyed your time at The Stables which was designed to accommodate larger groups and multiple generations so it is great to hear that the spaces work in reality. We were unaware of the appliances being temperamental or faulty so will repair/replace as necessary. Please rest assured that we endeavour to provide working fixtures and fittings where possible although there are occasions of breakdown or damage, we aim to rectify as soon as possible. We hope you will return to one of our 5 (soon to be 6!) old barns in Dorset again. The Stables Comes up Trumps Again! We recently stayed at The Stables cottage at Wear Farm for the second time and yet again were blown away with what a beautiful and luxurious cottage it is. 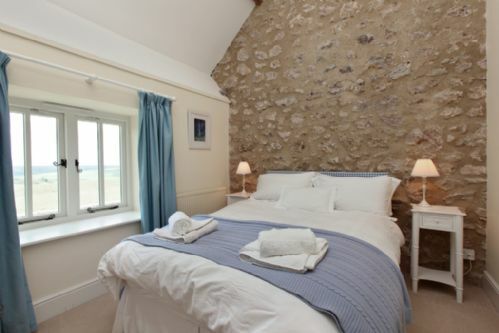 it is a truly wonderful place for a holiday and its location behind Chesil beach is stunning. The space afforded to our large family is what we love about the place with the kids having their own TV room and the big main lounge a great place to relax and chill out in the evening. We love doing the walk from the cottage along the downs and down to Chesil beach, before afternoon drinks at the Ilchester Arms in Abbotsbury and then staggering back onto the downs for the walk back to the cottage. Everyone who stays should give it a go. We'll definitely be returning as this is a beautiful place to stay in luxurious surroundings. Thank you for taking the time to write such a thoughtful and helpful review which will help our new guests make their decision to try our luxury Dorset cottages. We are delighted that you enjoyed another family Easter at The Stables and look forward to welcoming you back in the future. Our newest barn conversion, Merryhill Barn will be complete by then and whilst it isn't big enough for two sitting rooms, all the bedrooms will be ensuite and the location (in the east of the village) will provide new walks for you (and the dog!) without having to climb Abbotsbury hill. The location is superb and the barn has been in the movies...Far From the Madding Crowd (2016) early scenes when Carey Mulligan is working the surrounding fields. Let the next Dorset holiday countdown begin! Thank you for taking the time to write a review of your stay at The Stables. 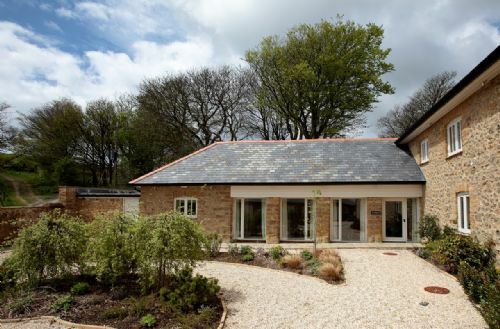 We are pleased that the property suited your requirements, it was thoughtfully designed to accommodate larger groups and multiple generations of family and it sounds as though your family were able to space out and enjoy the barn conversion and it's garden. We hope you will return again for more family gatherings and celebrations. Three generations stayed at the Stables for a week. The downstairs bedroom was great for my parents. Two lounges and TVs meant that everyone was happy and could watch what they wanted. The table in the kitchen was great for our family meals. Beautiful location. Thank you for your review. We are so pleased that your family enjoyed your stay at The Stables. It was carefully designed to accommodate larger groups and those with ground level access requirements. It is great to know that the layout worked so well for you and we hope you return for more family gatherings in the future. We also offer 3 and 4 night short breaks out of peak season. We decided as a family with two sets of grandparents that we wanted a change from the usual stress of going to each others houses etc over christmas and organising the food...so I set about the task of finding somewhere to stay that would cater for all. The property itself was lovely very warm and homely we found it to have a large fridge and freezer which was important to us as we had lots of food to store over the christmas week the ice dispenser was great with drinks in the evening. . I think an iternery of items in the kitchen maybe helpful esp to people who are having it over christmas wk just so they know what to bring and an extra set of cultury would be good to provide as we had to wash up a few times after one meal to the next. The welcome pack with tea etc was handy and the christmas tree was a nice touch however the lights did break so maybe a bit more robust lights should b put on the tree. We had planned the trip snice the January so it was a nice treat to have for the end of the year. Overall a nice place and nice location as we did walks and visited lots of places so christmas with a holiday. .and we were lucky with nice weather. Thank you for taking the time to write a review, we are delighted that you and your family enjoyed your Christmas together at The Stables. We are sorry that the Christmas tree lights broke but will source some replacements for future guest use and thank you for letting us know. We are pleased to hear that you enjoyed the welcome pack and the early 1pm check in. We note your suggestion on additional cutlery and kitchen inventory but hope that the kitchen information and fridge/freezer specification along with local meat suppliers provided by Becky and I before your trip was of some use to your holiday planning and preparations. We hope that you return for more family gatherings and celebrations in the future. Really enjoyed our week in very comfortable accomodation in a beautiful location. Would be very happy to recommend this lovely accomodation and hope to come back one day. Had a most relaxing stay. Thank you for your review. We are delighted that you and your family enjoyed your time together at Wears Farm. Now that you've tried The Cow Byre and The Stables, maybe next time you will stay at The Grain Store! We wish you a safe journey home to Australia and look forward to welcoming you back to Abbotsbury in the future. A great weekend had in a lovely house. Beautiful location and very family friendly. Hope to return again soon. Thank you very much for your review. We are delighted that you and your family enjoyed your trip to Abbotsbury and long weekend at The Stables. We look forward to welcoming you back in the future. Thank you for taking the time to write us a review. We are delighted that you all enjoyed your husband's special Birthday celebrations on the Jurassic coast and hope that you come back again in the future. The Stables is especially well appointed for larger groups celebrating special occasions. I note your comments abut the towels and have passed them on to my Manager. I look forward to speaking to your husband one day when he calls to book your surprise Birthday treat! Thank you for taking the time to write us a review which new guests look for when they are deciding where to holiday. As much as I can tell them about our properties and location, they prefer to hear it direct from our existing guests. 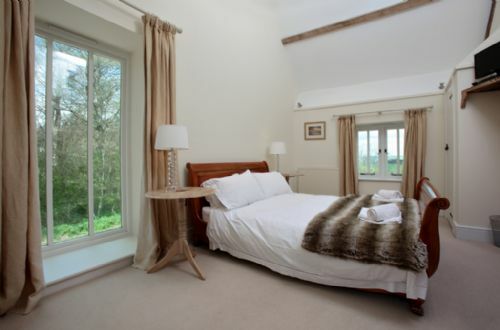 We are delighted that you and your family enjoyed your stay at The Stables and the location of Abbotsbury in general. It is a very special village in a beautiful part of Dorset and we look forward to welcoming you back here in the future. A lovely place to stay, with every comfort. The Stables is spacious, clean, well equipped, warm and comfortable. Real peace and quiet. There are lovely views and easy walking from the property. Thank you for your 5 star review. We appreciate you taking the time to write us a review and are delighted that you enjoyed your annual gathering at Wears Farm in Abbotsbury. We will keep in touch about the new barn conversion and hopefully can continue to accommodate your family as it grows. We stayed at the stables for our wedding weekend with close family and got married at abbotsbury gardens. We couldn't have chosen a better place to stay. It was luxurious, spacious and in a fabulous location. It was also great to have the garden for the dogs too. Fabulous fabulous we shall be returning in the future! Congratulations and celebrations to the newlyweds! Thank you for your 5 star review. We are delighted that The Stables was the perfect wedding accommodation for you and your family. We appreciate you taking the time to write such a lovely review which will help future brides plan their weddings and look forward to welcoming you back in the future. This was our second big family party at the barns (Stables & Cow Byre) - they are great! Good size, well appointed/decorated and very comfortable with lovely views of open country from nearly all rooms. Could do with bigger signs off the road before and at the turning off the main road - farm track to the barns also needs better maintenance - too many potholes, especially difficult at night! Nevertheless, a great place to stay. Thank you for your review of The Stables and The Cow Byre. We are delighted that you and your family returned and enjoyed your stay at Wears Farm, which is beautifully situated in unspoilt Dorset countryside. Unfortunately, due to planning regulations and environmental designations, signage allowance in Abbotsbury is restricted and larger signs are not allowed. We note your comments about the potholes and can confirm that resurfacing works are currently taking place on the B3157 with repair works on the track scheduled for the spring. We hope that you will return to Abbotsbury for another family reunion in the future. After staying in The Stables for a weekend with our family in 2013, we returned for a week this time to celebrate our Ruby Wedding Anniversary, complete with three grandchildren. The accommodation is brilliant, allowing space and privacy for all the family, as well as being superbly comfortable. Occupying the downstairs bedroom, the thick stone walls ensured we were oblivious of whatever mayhem may have occurred upstairs during the night! The location is beautiful and the view over Chesil Beach from the ridge is stunning. The opportunities for walking, once you can muster the family, are endless and spending time at The Hive is one of life's simple joys, with the beach ideal for small children and their sometimes urgent needs. Thank you to Kerry and the team for their friendly, efficient service and for keeping up with our demands for high chairs. We hope we don't have to wait until our Golden Wedding for a return visit! Thank you for your 5 star review. We are very grateful that you took the time to write such a helpful and detailed picture which paints a picture to those who have never been to our cottages or the area. The Stables and its design for multiple generations or different families to be together but with plenty of personal space is very popular as is the special place it is located within...far from the madding crowd. We are delighted that you and your family (including the newest additions!) enjoyed your time together as much as in 2013 and hope that you will return long before your Golden wedding anniversary! Winter weekends are cosy with invigorating walks on the Ridgeway and Chesil beach followed by life's simple joys at The Hive which is popular all year round. We look forward to welcoming you back to Jurassic fantastic Dorset soon. We were a group of 8 family members. The accommodation with the large well equipped kitchen, and spacious lounge area worked well for us. It was our second visit and we would certainly consider returning again. Thank you for your review. We are pleased that you enjoyed your return trip to The Stables and hope that you will return for more family gatherings in the future. If the family outgrows The Stables, you could also stay at The Grain Store and The Cow Byre at Wears Farm which altogether sleep 20! The Stables are a good place for family groups, all the comforts of home and no nuisances. The space, furnishings and neutral decor were seen as relaxing by all. We have always lived in homes where one could just go for a hike from the front gates so this was lovely.. The layout ensured each couple's privacy. The neighboring units which we had some reservations about because of their close proximity were laid out so that we hardly saw the other holiday makers, not obvious from the pictures of the property which also do not reflect the splendid isolation of the buildings and the gorgeous views on the countryside. So all in all, the Daily Telegraph review on which we based our reservation was just short of perfectly accurate. Our only reservation concerns the totally unreliable wifi and phone signal. We were visiting with a heavily pregnant daughter in law for whom emergency contact could have been vital let alone everyone's need to stay in touch via wifi. We were more than a little disappointed to learn that the problem is a well established fact... on the strength of that knowledge we would only recommend this unit with a strong caveat. Thank you for taking the time to write such a helpful and thoughtful review. We are delighted that you and your family enjoyed your stay at The Stables and it's special surroundings in the rural Dorset countryside with easy access to the South Dorset Ridgeway. Careful consideration was given to the conversion of the barns as places for multiple generation families and friends to gather and we are pleased that the configuration worked for your family reunion. We hope that you return again in the future to enjoy the gorgeous views and splendid isolation of Wears Farm. We note your concern with WiFi and mobile phone signal which we do publicise on our website because we appreciate that they are not 100% reliable. A mobile phone mast was erected in Abbotsbury and fibre broadband was installed in 2016 but unfortunately speeds are not as fast and signal is not as strong as those found in urban areas. We are very sorry that this caused concern to you and your family especially in light of your grandchild's imminent arrival but hope it will not put you off returning.